A head-on collision on Marley Neck Road in Glen Burnie left four people dead. One of the victims was a young child. At around 1:30 pm on Sunday November 18, 2012, a head-on collision occurred that left one car overturned and on fire. Four people, whose names have yet to be released, were killed. They were pronounced dead upon the officials’ arrival. One of the victims was a young child. It was stated that one of the vehicles was from out of state. It had a West Virginia license plate. The accident is still under investigation and police are hesitant to release any details as of yet. There will be autopsies and toxicology tests and the results will be released at a later time. Have you lost family in a head-on collision? 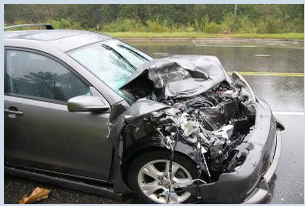 Head-on collisions can easily turn fatal, such as in the accident above. The sheer impact of the two cars colliding can instantly kill someone with blunt force trauma. If you have lost family in a head-on collision, contact a Washington D.C. accident attorney to see if you are entitled to compensation for your family’s losses.